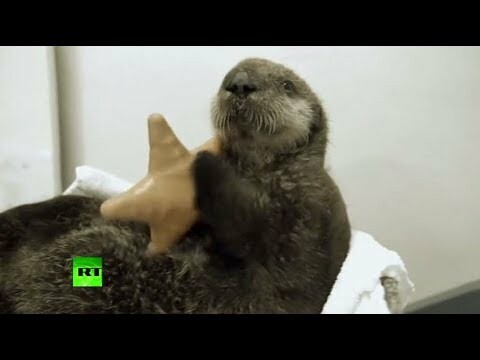 In otter news: This cute fella likes milk and needs a new home! | We Seek the Truth! According to the zoological society, the pup’s mother was unable to provide him with the proper nourishment he needed, and it is unlikely she would accept him back as her own due to the amount of the time that they have been separated. Staff are now working to find a different home for the pup with other young otters of similar age.